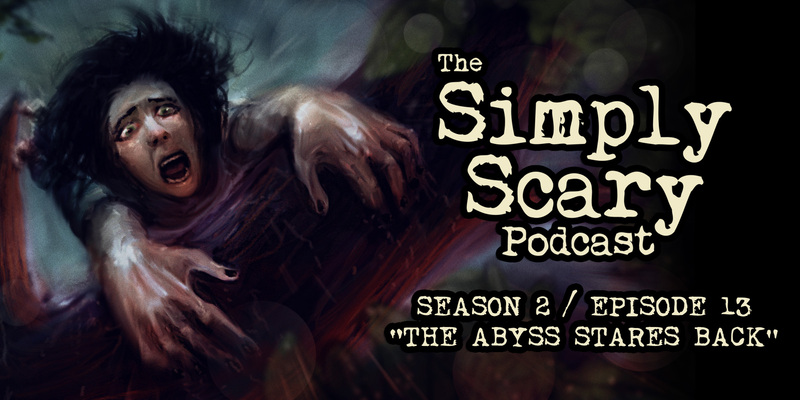 Welcome to Season 2, Episode 13 of The Simply Scary Podcast. This episode of our program is hosted by G.M. Danielson. “Nothing Ever Happens” written by Peter Lalush and performed by Jordan Lester (all roles). Production by Jesse Cornett. Score by Jesse Cornett. A millennial has a hard time leaving home and a small town where nothing really happens, and it’s happening over and over again. “Machine Gun” written by Peter Lalush and performed by Peter Lalush (all roles). Production by Jesse Cornett. Score by Jesse Cornett. A musician struggles to record his latest creation, and inadvertently reveals something much darker behind the music. “Self Predator” written by Peter Lalush and performed by Michelle Ragsdale (Narrator), featuring Ashley Tolfo (friend 1), Heather Ordover (friend 2), and Brindolyn McNair (friend 3). Production by Jesse Cornett. Score by Jesse Cornett. A young woman takes self-mutilation to a whole new level. “Terminal 13” written by Peter Lalush and performed by Brindolyn McNair (Narrator), featuring Jesse Cornett (staff members 1/2, tester number 5, game voice). Production by Jesse Cornett. Score by Jesse Cornett. A gamer signs up to test a new game. In doing so, they take on far more than they bargained for. “Conceptual Art” written by Peter Lalush and performed by Ashley Tolfo (Narrator/Alexis), featuring Brindolyn McNair (Event ticket-taker, odd woman, aerial silk woman), Jason Hill (odd man), and John Evans (Jon). Production by Jesse Cornett. Score by Jesse Cornett. A student who moonlights as the college art department off campus bus driver delivers her passengers to an artistic performance exhibition that invites the audience to “lose themselves” within the exhibit. A NOTE TO LISTENERS: The episode available here is a premium episode, and features all five stories. 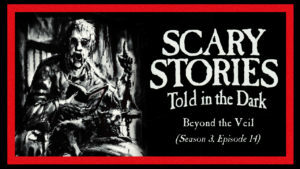 To access more full-length, advertisement-free episodes, sign up to become a Patron today at Chilling Tales for Dark Nights. In our Patrons-only members area, you’ll get access to HQ MP3 copies of all of our podcast episodes – totally free of advertisements – plus access to hundreds of stand-alone audio horror productions dating back to 2012. You’ll also be helping to support this program and the team that bring it to you every week. Thank you for your support! Loved Conceptual Art and Machine Gun .But why are there no more episodes? Please post a new episode.. The program is (regrettably) on hiatus due to budgetary restraints. ohh..:( hope you solve thhe problem. The show will be returning May 8, 2018!